It is no longer a question of truth or evidence of accumulated social and climatic problems that we have, but the perpetuation of underestimation these problems. It is not about thinking about this much-needed social alternative, about building a different world, but today as it is to accept, adapt and with the abundance of change without exit, continue to insist on the current social development. And if today’s society can not or does not want to be able to imagine a different world from the existing one, it is also ending with its history. But that does not mean the end of the future, exclusion of thinking with a view to the future, but something that is not yet today, but will come tomorrow. To accept fundamental social changes is difficult. New ideas and visions are viewed with skepticism and fear, but sometimes these ideas are accepted. And when that happens, a new era begins. It opens a completely new world. Another. A better. A humane, social justice and ecologically responsible world. 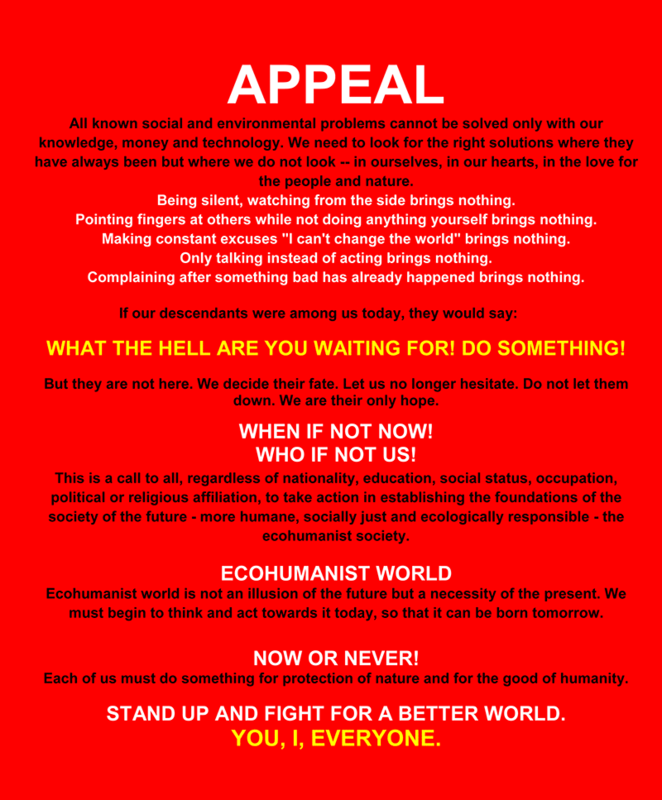 One such ecohumanist world. World with a future. 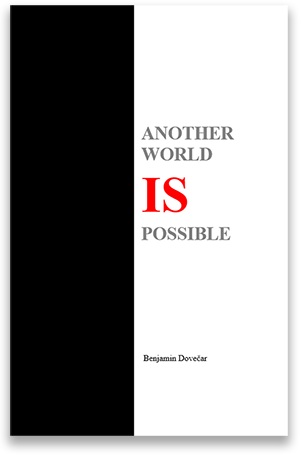 Yes, another world is possible and urgently needed.